Can Single Parent Homeschooling be Done…Successfully? Does the phrase ‘single parent homeschooling’ sound like an oxymoron? If you are a single parent desiring to homeschool, does it fill you with anxiety? Dread? Discouragement? Do you believe home education is reserved for the affluent? For those married with multiple children? For those who adopt…after marrying…and having multiple children? I want to encourage you not to give up hope. Where can you find help? There are resources to help homeschool families. There are resources to help single parents. There are resources for those considering single parent homeschooling. While, statistically, most homeschool families have two parents and exist on one income, that may not be your picture. The normal picture is that of dad going off to work outside the home while mom remains taking care of the education. A variation of this is mom working from home part-time once the kids are a little older. Of course, there are exceptions with some running a family business and both parents involved in home education. There are also families where mom and dad alternate based on their work schedules outside of the home. But what about your picture? Do you fit into any of these variations? Are you the sole head of household in charge of nurturing your little (or not so little) ones? Do you believe a home education would be the best fit for your family, yet don’t know how or where to start? I want to help you stay encouraged despite those heavy days where everything seems to go crazy. I also want to help you begin to set goals that fit you and your family. To aim for consistency while setting and meeting your goals. To do so without adding stress to your life. In addition, I want to help you remember to take care of yourself. 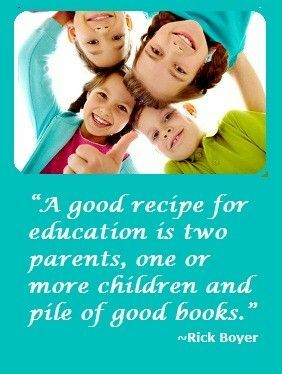 But most of all, my goal is to help you achieve your definition of success in single parent homeschooling. …how do we go about doing this? While being a single (or solo) parent is a lot of work, being a single parent homeschooling takes an even greater leap of faith – and even more work. Although it definitely isn’t easy, it can be done when you work S.M.A.R.T. – not hard. Working this way helps you to focus on what’s important and what needs to be done. I want to help you work S.M.A.R.T. Why do I want to help, you might ask? Honestly, it will help ME to help YOU. While I help you determine your focus, I maintain mine. The “teacher” then becomes the “student”. I’ve taken the rough journey of single parent homeschooling. I say rough because I didn’t take advantage of the resources that were there. I thought no one could possibly be going through this. So, I went through it alone. Because of this, I endured a jagged journey filled with many starts, fits and stops. Well, I’m here to tell you you’re not alone. And you don’t have to go through it alone. So in these next series of blogs, we are going to go over several resources that are essential to a person’s success. But to a single parent homeschooling, they are crucial. First of all, let’s determine your goals – for yourself and your family. Second, we are going to tackle the cause of the anxiety and fear single parents face – handling finances. We’ll talk about several avenues of income available to you. We’ll discuss the different resources to help you make and keep a budget. Of course, we’ll tie this into home education and how you can pass these lessons on to your children. Next, after some of your anxieties and fears have subsided, we’ll tackle all the hats you wear and balls you juggle. Tackling the different (and sometimes overwhelming) type of curricula. Determining what is the best fit for your home education goal(s). 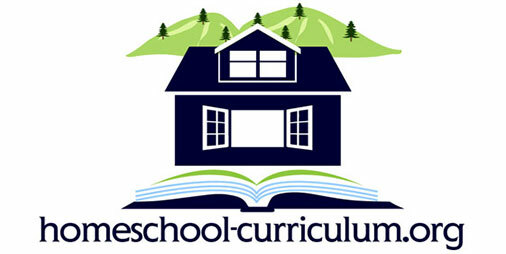 Finally, we’ll go over all various resources of support for a single parent homeschooling. So, now that you know what’s ahead, let’s get started. Like I said, single parenting is a lot of work in and of itself. Single parent homeschooling is going to require that you make S.M.A.R.T. goals. If you truly desire a home education for your kids and are willing to put in the work, let’s go. What is meant by a SMART goal? I want you to think about what you want to achieve by single parent homeschooling. What do you want to accomplish? Do you want to set yearly goals for your kids’ education? For yourself as a home educator? What is your purpose for homeschooling? What is your why? Keep that in mind as we continue to tackle each resource. I’m sure you have already heard of the SMART goal acronym. For the sake of remembering through repetition, I’m going to go over the acronym. A SMART goal is defined as one that is specific, measurable, achievable, results-focused and time-bound. Now, what does all of that mean? Specific: This is your What, Why and How. It should be simply written and clearly define what you are going to do. Achievable: You should be challenged by the goal, but make sure it is something you can achieve. Make sure you possess (or can at least access) the appropriate knowledge, skills and abilities needed to achieve the goal. Results-focused: Goals should measure outcomes, not activities. What will all your busy-ness produce? Time-bound: Connect your goal to a practical time frame. One that creates a sense of urgency, yet is still realistic enough to be able to achieve your goal. To help you clearly define and write down your goal, I’ve created this SMART Goal Questionnaire printable. You’ll notice that you will begin by simply writing down your goal. It’s ok if it is a broad goal. The following questions are meant to help you find clarity. Then, at the bottom of the page, you are going to rewrite your SMART goal. In the next segment, we are going to take the SMART goal that you’ve created and tie it in with your financials. Getting a grip on our financial situation tends to alleviate a ton of stress and makes all else loads easier. Want to dig even Deeper? If the prospect of setting and achieving your goals is exciting, take a look at the Make Over Your Mornings course by Crystal Paine, the Money Saving Mom. What Are The Homeschool Requirements?